There is a pressing need to advance yoga teaching methodology to more systematically incorporate the principles of anatomy, biomechanics and kinesiology into yoga teaching, says Dr. Gill Solberg in this interview. A clinical kinesiologist by profession and a yoga teacher since 1985, Dr. Solberg has dedicated his life to forge this interdisciplinary integration and advance the teaching of yoga. In this interview, he shares key insights. Also be sure to check out Gill's course on YogaUOnline entitled Yoga for Posture Improvement - The Kinesiology of Posture and Biomechanics of Healthy Aging. YogaUOnline: Gill, first of all, you are a kinesiologist and yoga therapist in Israel. How did you get interested in yoga? Gill Solberg: My interest in yoga started when I was about four years old. In the mid-60’s, a very important yoga teacher came to Israel named Swami Venkatesananda. He was the first master who came to Israel from India, and he became the teacher of my mother, who was his first student in Israel. Swami Venkatesananda was a very close teacher to Desikachar and he became the teacher of my mother as well. So, when I was about three or four years old, I started listening to all these lectures. My mother today is about eighty-eight years old and she’s still teaching all over the world. But I became a yoga teacher in 1985. So, everything started for me those days. YogaUOnline: You chose to study physical therapy for your profession, was that related to your interest in yoga? Gill Solberg: It was my first choice to study physical therapy, but during my studies I found kinesiology and clinical kinesiology to be better suited to my needs as a yoga teacher. I started out very enthusiastic to help the world through yoga. And during the first year of my teaching, I realized there was a big gap between my fantasies and reality. My students just couldn’t do the poses I tried to teach them. And among those who did, many got injuries. We need to open our eyes to the fact that if you ask all the people in your session to do exactly the same posture in the same manner, it’s almost like asking them to wear the same shoes. So I realized it’s not that easy being a yoga teacher and decided to enhance my knowledge and study more. I felt that if I wanted to be a responsible teacher, I’d need to learn about the factors related to the differences in my students’ needs. People come to the world in different shapes and different physiques, and I realized I had to learn how to adapt the poses to their needs. So I decided to start the clinical kinesiology program. So today I combine all these areas, and also run a yoga therapy clinic. But in short, I found that I needed a more academic, clinical background to really deal with what I love – which is yoga or yoga therapy. And now, of course, with the success of yoga and the large number of people starting to practice yoga all over the world, we need to be more responsible to avoid problems and injuries. Injuries shouldn’t happen, but they do. And in order to avoid them, we need to enhance our knowledge – with knowledge of anatomy, kinesiology, and biomechanics of the human body. YogaUOnline: Yes, I think most new yoga teachers have been surprised at experiencing how there are about as many different variations of a pose as there are students in their class. As you say, there’s a lot to know to really be able to see where those variations come from, and what is it that’s going on in each person’s body. And you really need to know that so you can know how to keep the practice safe and rewarding for your students. Gill Solberg: We need to open our eyes to the fact that if you ask all the people in your session to do exactly the same posture in the same manner, it’s almost like asking them to wear the same shoes. They can do that but oftentimes, it does not really fit their needs. YogaUOnline: So in your teaching, you emphasize the need to learn about the biomechanics of yoga and the kinetic chains that tend to cause specific patterns of misalignment in different people? Gill Solberg: Yes. Movement in the body works sort of like a link system or in kinetic chains. This is a very important principle that actually affects everyone practicing yoga asanas. Understanding the kinetic chains means understanding the kinesiology of the body, which in turn helps us to understand various compensations in yoga practice. Physical limitations will always affect neighbouring joints, and many times, this can be a cause of injury in the practice. For instance, if you have an internal rotation of the arm, which is very typical to many people with kyphotic posture, this position of the arm can create a protraction of scapula and this might affect or even harm your shoulders while you do various asanas. Similarly, injuries of the knees, for instance, are often due to hip limitations. People sitting in lotus position may injure their knee due to limitations in the hip joint. So we need to look and to observe and adapt everything we do to all these special, unique needs. And actually, we all have special needs, I believe. In a way, it looks simple, but there is a lot to learn in order to be able to see. There was one teacher who used to say that the eye doesn’t see what the brain doesn’t know. So in the course I teach on YogaUOnline, I really take the time and focus in depth on a few issues. Most people when they get out of this course, slowly but surely gain confidence in the way they look at the body and the way they can adapt poses. And they become more flexible (I mean mentally flexible, not only physically) when they allow themselves sometimes to change a few asanas or to change few plans in the session in order to gain better results for their students. YogaUOnline: In your work as a kinesiologist, you specialize in posture imbalances, and you have even written a book about posture imbalances and how to treat them as well. What attracted you to this work? And why do you feel it’s such an important topic? Gill Solberg: The incidence of postural problems is actually quite high. However, professionals don’t always know how to treat it or what to do with it. So I found it quite a challenge to take these complicated issues and put them in one book. It took me about 10 years to complete it, because it is actually the first and maybe the only book written completely on the issue of posture. Orthopedics, for instance, recognizes the existence of posture but, except for cases requiring treatment with brace and surgery, they don’t really know what to do with it. In physical therapy, they treat posture with quiet respect. But in their daily work, they have to deal with such a broad range of musculoskeletal problems that there is little time to deal with posture. In order to treat postural problems, you need time. 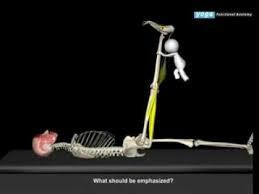 I tried the physical therapy method and the results were not good enough, because there was not enough time. And I think what we gain in yoga therapy is also having the right and the proper and the sufficient time to get deeper into the needs of the patient to create progress. And, as I also talk about in my course, we also need to deal with the brain, not only with the muscles and the joints. And you need time to deal with the brain–in order to change habits and in order to change the mode of control, which is a big challenge for every therapist. So in writing the book, I learned a lot. It was published by Elsevier, which is a very big publisher; and they even recently translated it into Chinese, so it’s quite exciting. YogaUOnline: For most of us, posture imbalances are just something that may not be so flattering to look at, but otherwise are rather innocuous. But should we be concerned? Gill Solberg: Well, there are many kind of posture imbalances, but let’s take the example of hyperkyphosis – the exaggerated curvature of the thoracic spine. A hyperkyphotic spine is linked to numerous actions or reactions of the body. The curve of the chest and the vertebra is a greater kyphotic position, and from there, linked systems start and we see the forward head position. We see common problems with the shoulder girdle. We see lots of lower back problems due to hyperkyphotic position. What I’ve found in my practice is that there is a strong connection between breathing problems and postural problems. A kyphotic spine is very stiff and rigid in the thoracic area, and this will affect the rotation or range of movement. Once you lose this rotational movement, it affects those tiny, little important joints which connect the vertebra to the ribs, what we call costovertebral joint. If you lose motion there, one of the main effects is the limitation in breathing. So in the course on YogaUOnline, I spend a fair time on how to emphasize rotation to improve breathing – which is the core or maybe the main, important thing in yoga practice. This is actually the main focus of my course on YogaUOnline – Improving posture imbalances in the sagittal plane, which are very common. I have developed many useful and practical tools on how to avoid problems, how to improve problems, how to assess these problems. There is also much to learn about the spine in terms of mobility. Yoga teachers deal a lot with stretching. But I like to focus more on the mobilization of the spine, or what we call segmental mobilization of the spine, specifically the thoracic spine. This is quite a challenge, because it’s quite a stiff area in many people, and this area will try to do anything it can in order to avoid movement. If we don’t pay attention, we can practice an hour or two hours every day for years, not even touching this area in terms of segmental mobilization. It is very interesting to deal with this to understand what’s really happening inside this area. YogaUOnline: Pretty much anyone over fifty is struggling with posture disorders – and increasingly younger people as well, specifically the early stages of hyperkyphosis. So it’s really a tremendous tool for a yoga teacher to be able to learn how to help people with this. There is a great hunger for this kind of knowledge out there. Gill Solberg: Yeah, my mission is to present all the issues in a practical way, which is all adapted and suitable for yoga teachers. In many yoga courses, the professionals who teach anatomy, kinesiology and biomechanics are not really connected to the world of yoga. I belive this is a big problem and that we need to do it differently. The traditional wisdom of yoga needs to be combined with up-to-date, evidence-based kinesiology as it relates to common posture alignment issues. In my experience, people who take these courses and make the effort to learn these things, it positively changes their teaching for good. And I really appreciate this, that teachers come and take a few days in their lives and study something. It’s good for them, good for the students. They get a lot from that. YogaUOnline: Will the course be of interest to people who simply want to better understand alignment and posture imbalances in their own body? Gill Solberg: Yes, usually most of my courses are either for professionals who have a good background in terms of the human body or for people who just practice yoga. But I do teach things that are at a higher level. Not too high, but it is based on some previous experience. In all my courses in Israel, where I teach twelve courses every year, usually about ten percent of people just want to better understand how their own body works. They love it, they enjoy it, and sometimes they know that they cannot completely understand completely all the issues that I am talking about but, in general, they get a lot. So yes, they can. It’s a good opportunity to deepen the understanding of the effect of common postural problems, and learn how to identify some limiting elements in any asana. And everyone has his own limitations that he should investigate and be aware of in order to practice in a good way. So yes, everyone, can benefit. YogaUOnline: So, Gill, thank you so much for joining us all the way from Israel and making some of your extensive knowledge of yoga teaching methodology available through this course. It’s a great privilege for us to be able to offer it to the yoga community. Gill Solberg: Thank you, it is my pleasure. Dr, Gill Solberg is a yoga therapist, kinesiologist, and a specialist in posture disorders. He has spent his life dedicated to understanding the principles underlying the human movement system that would enable him to move the body according to its inherent structural needs. He is a pioneer in applying the deeper principles of kinesiology to yoga teaching to provide a more balanced asanas practice, improve results and prevent injury. Along with his partner Amit gal Alon, he has developed an advanced software that focuses on Yoga Functional Anatomy to upgrade educational standards in the field of Yoga and Human movement studies. 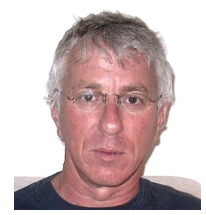 Dr. Solberg is also diagnostician and head therapist in his private Yoga Therapy clinic and is a leading lecturer at various academic colleges in Israel in the fields of Human Anatomy, Kinesiology and rehabilitative movement. Yoga for Posture Improvement - The Kinesiology of Posture and Biomechanics of Healthy Aging.